Local broadband speeds could be set for a boost with Virgin Media planning to invest in their communications network in Lisburn. Virgin Media are investing £3bn to expand their network and have identified Lisburn as a key location for expansion. With work set to take place to upgrade the broadband system, residents have been warned to expect disruptions. The initial ‘dig’ work is focussed in the following areas: Moira Road area, Drumbeg Road area and Mornington Avenue Area. This includes postcodes BT28 1RP, BT28 1NY and BT28 2WP. Local councillor Alexander Redpath has called on Virgin Media to ensure that there is as little disruption as possible during this upgrade. 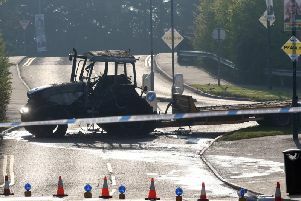 He said: “Members of the Lisburn community need to be aware of these works and the disruption they are likely to cause. “It is incumbent on Virgin Media to ensure that the disruption is proportionate to the benefits for householders and businesses. “Super fast broadband is an economic necessity. “This technology is advancing rapidly and it is inevitable that regular upgrades will have to be made to the infrastructure. “Reliable super fast broadband has the potential to benefit householders and create new jobs in Web based businesses. A spokesperson for Virgin Media confirmed that a community information event will be held on May 31 in Laganview Enterprise Centre (69 Drumbeg Drive). This will last from 7-9pm and everyone is welcome to attend. The spokesperson said: “Virgin Media is currently expanding its network in Lisburn to bring ultrafast broadband speeds to more homes and businesses in the area.